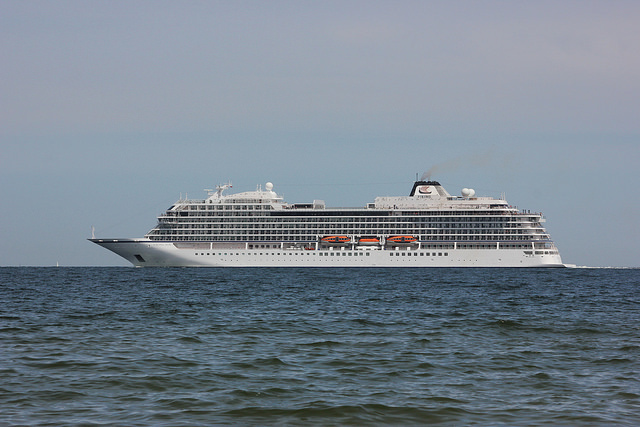 On March 23, 2019, the Viking Sky cruise ship which was located near Norway’s west coast issued a mayday due to engine problems and started to evacuate the 1,300 crew and passengers onboard. NRK public broadcast reported that the evacuation would be a dangerous and slow process. The passengers and crew had to be hoisted one by one from the ship, and there were only five helicopters available. The Associated Press reported by 6:00 pm Oslo Time, 100 people were rescued. Authorities stated that the high waves and the strong storm did not permit rescue workers to use lifeboats to take the passengers to the shore. Odd Roar Lang, a witness to the rescue, told NRK that the rescue is dangerous because the passengers had to hang under a helicopter in the air, and the wind was powerful. Norway media reported that the wind was gusting to almost 43 mph and there were 26-foot waves. The water was also at frigid temperatures. A cargo ship which was sailing near the Viking Sky also developed a stalled engine. The ship was carrying timber, and some went overboard. The crew which consisted of nine people also required evacuation by helicopter. Norway Media reported five people were taken to local hospitals, and none of the injuries were considered life-threatening. It is unclear if the injuries were caused on the ship during the storm or during the evacuation process. The majority of passengers aboard the ship were from America or the UK.